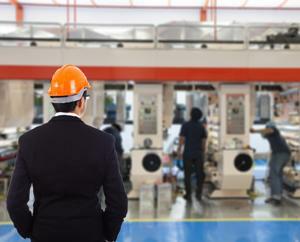 Facility management is crucial for today's manufacturers. It involves making sure your work orders are in place, vendor management is up to date, equipment is being tracked effectively and preventive maintenance tasks are scheduled properly. Trying to achieve this manually can be quite a task. A computerized maintenance management system (CMMS) can simplify the process, making it faster and more efficient. These programs enable you to create and use important reports related to facility management. If you are new to CMMS solutions, you may have trouble understanding the scope of these reports. Below are a few reports that can help increase your operational efficiency. This report shows work orders as they are created, started, scheduled, completed and closed. They can be classified based on department, the person who issued the work order, the person to whom it is assigned, the type of work requested, location, status or date. The purchase order summary helps keep track of all your purchase orders. It displays the details of purchase orders as they are created, scheduled, sent, received and closed. You can further categorize them by date, priority, type of purchase order, status and the person who requested them. This summary shows the preventive maintenance measures based on when they were created, scheduled, sent, received and closed. It can be sorted by date range and the department to which it was assigned. You can even see who was assigned to the request, the location of the activity as well as the associated activities, facilities, category and vendor. Analytics can be used to gain a deeper understanding. The activities report is a complete summary of maintenance activities. It includes related tasks along with details on the labor, equipment, materials, and estimated labor and materials costs associated with the different activities. This report allows you to study all your equipment by purchase order, work order and preventive maintenance. You can view and analyze different types of equipment by category and see when they were created, started, closed, completed, denied or suspended for optimal asset management. As you acquire various products and services, you will work with different vendors. A vendor work history report lets you manage these vendors and analyze their respective work orders and related costs. Similar to the vendor work history report, this report allows you to manage all your vendor purchase orders and their related costs. Use this report to check the status of your vendors' insurance, including whether it is current or expired. Several CMMS systems allow you to set up alerts and notifications pertaining to vendor insurance. With the labor summary report, you can keep tabs on all the associated labor based on a work order, purchase order and preventive maintenance. It can be sorted by date and records the priority, facility and department where the request was assigned or created. You can even see who assigned the requested work, maintenance or purchase activity and to whom it was assigned. By utilizing the reports described above, you should be able to enhance your operations and the processes involved in facility management.